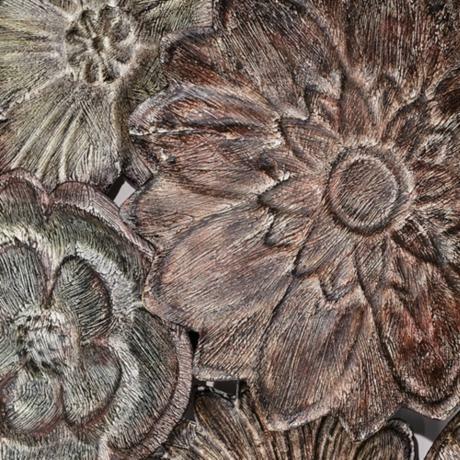 A selection of casually-arranged blossoms constructed of metal, in an aged matte bronze finish, that can be hung vertically or horizontally. Key holes in the back allow easy installation. This lovely flower wall art will never wilt or dry up. An everlasting bouquet of flowers for your walls. • Metal floral wall art. • Vertical or horizontal hang.